Sir Ridley Scott returned to the Alien franchise with the much anticipated prequel Prometheus. From the green light to release the anticipation was tremendous, one of the most of this decade. The campaign not only had to feed the hunger for content, but had to raise the bar beyond expectations (we had a highly critical fan base), keep the engagement over a long period of time and ultimately enlist the tastemaker fans to help spread the delight to the broad audience. The campaign kicked off with the fictitious TEDTalk from the future given by Weyland Industries Founder Sir Peter Weyland. Produced by RSA, Sir Ridley Scotts production company, the TedTalks video was and still is considered to be the highest quality web exclusive pieces of content. 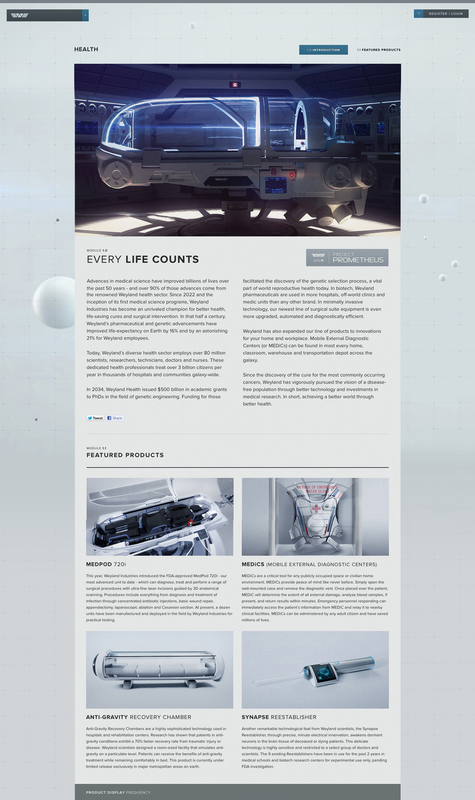 The end frame led viewers to the official Weyland Industries website. 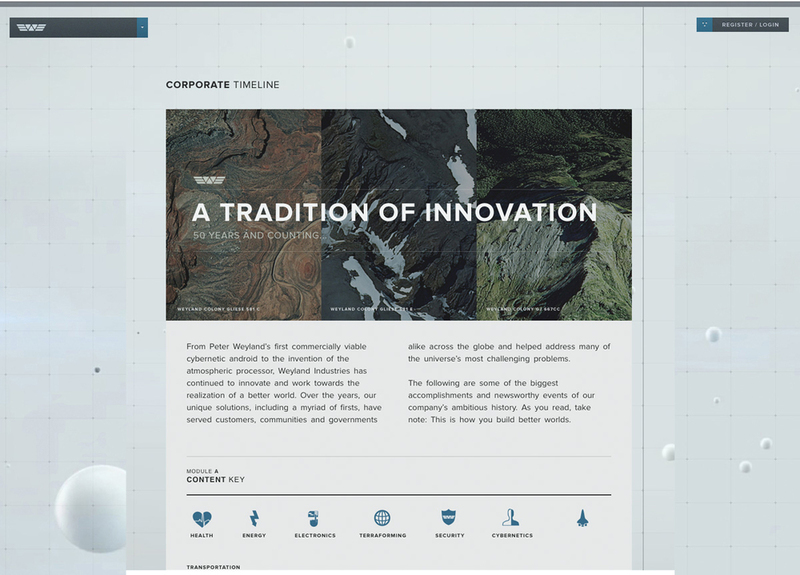 The Weyland Industries website took the TedTalk experience from a lean back to a deep dive into a treasure trove of content. 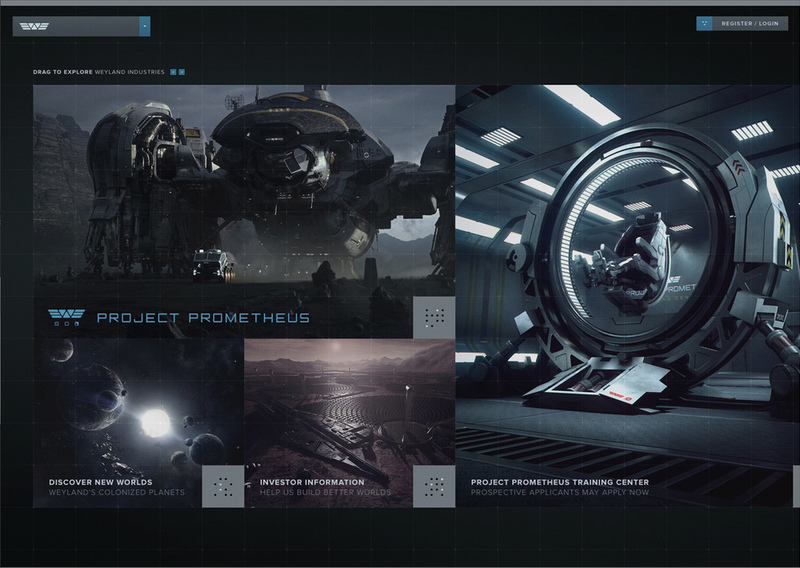 The site also allowed visitors to register as an investor in the company's Prometheus initiative, thus connecting lines established straight to the visitors "inbox". Shortly after, a product commercial, below, featuring the 8th Generation David Android debuted on Mashable and on TV for Verizon FiOS customers. 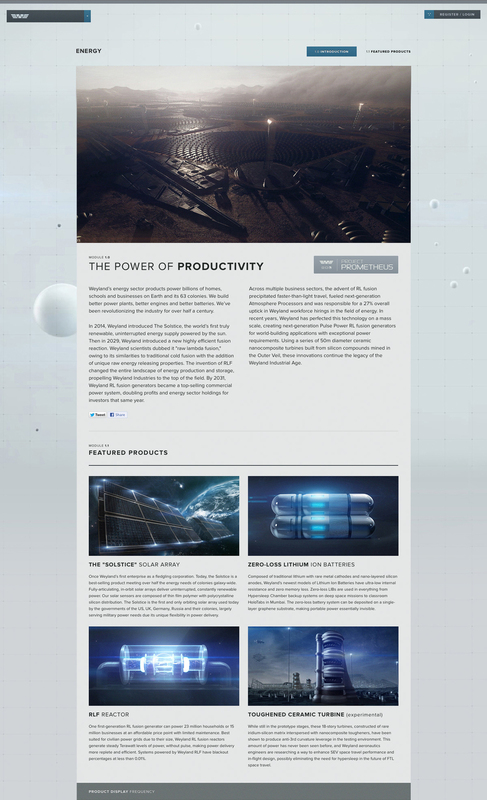 The full David 8 page was unlocked by fans, featuring a comprehensive look at the technology behind Weyland's flagship product. Additional pages were released shortly after furthering speculation about details of the Prometheus mission. To further fan engagement, we partnered with Internet Explorer to create a series of trailing games to recruit and socialize fans. To introduce Noomi Rapace's charater, a third video was released, which highlighted her plea to Weyland to fund the Prometheus mission. 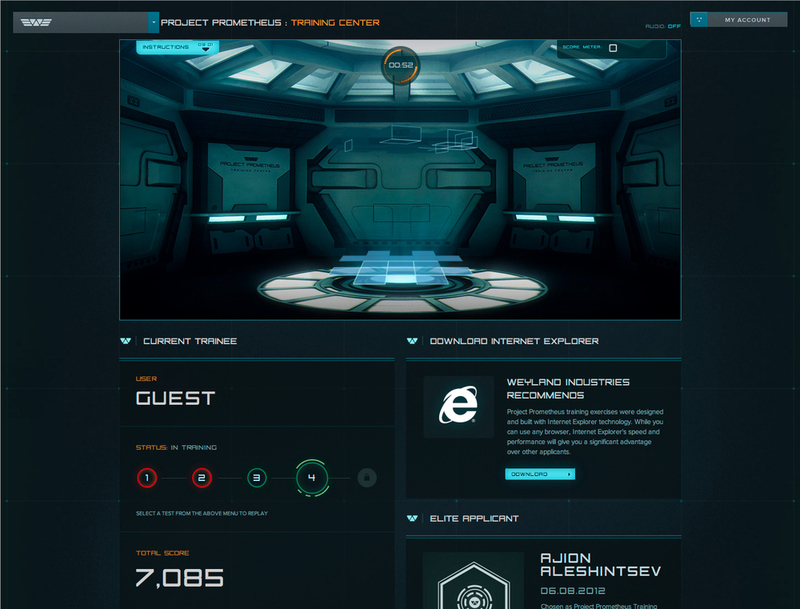 The video was a conduit to the next and final fan activity, Project Genesis, allowing fans to search for artifacts leading to the discovery of the Engineer's plant. "Best Online Advertising in a Promotional Campaign"